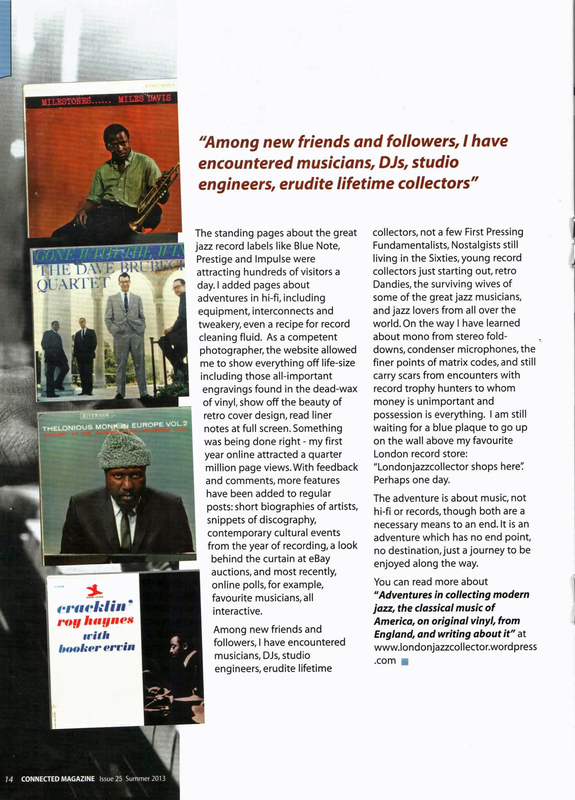 Guest article by LJC about the LondonJazzCollector blog and website, in Connected magazine Summer 2013 edition, published by Russ Andrews Accessories. 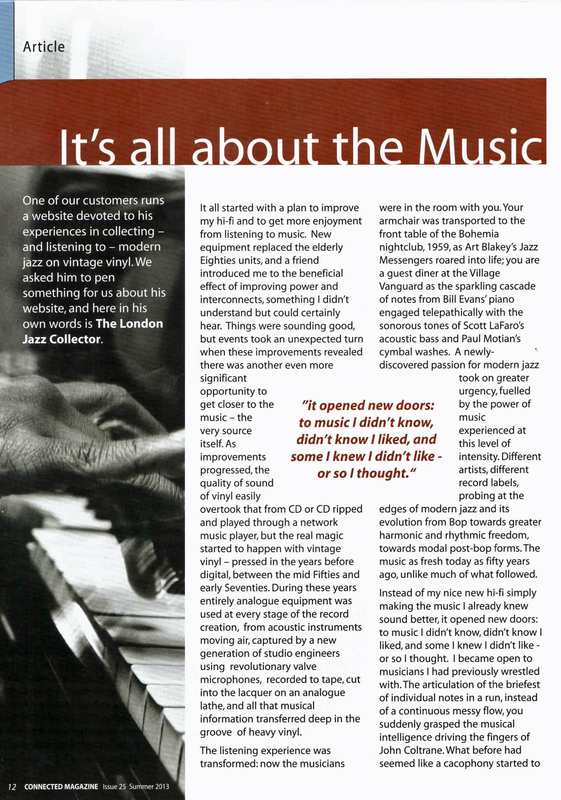 Nice article ! 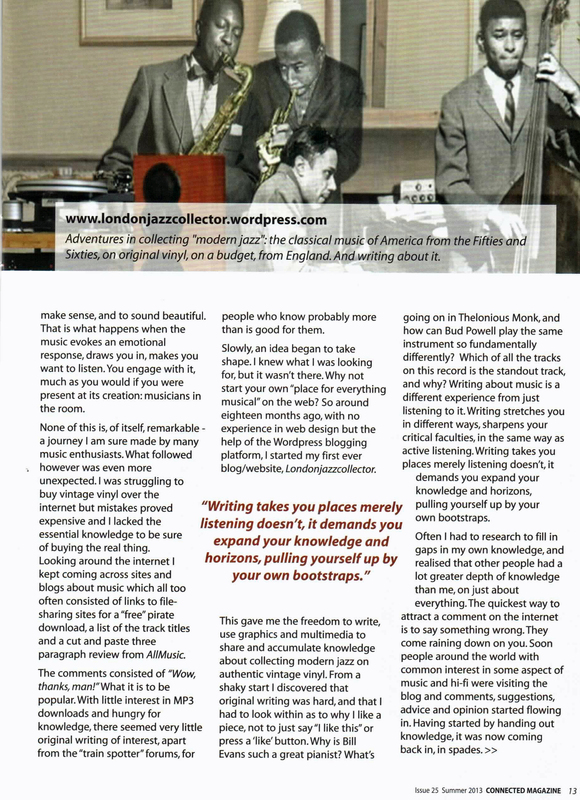 LJC, i find your blog one of the most interesting websites in existence, always new pages to discover & always great read. Amazing you have done all that in only 2 years or so…keep on the good works !